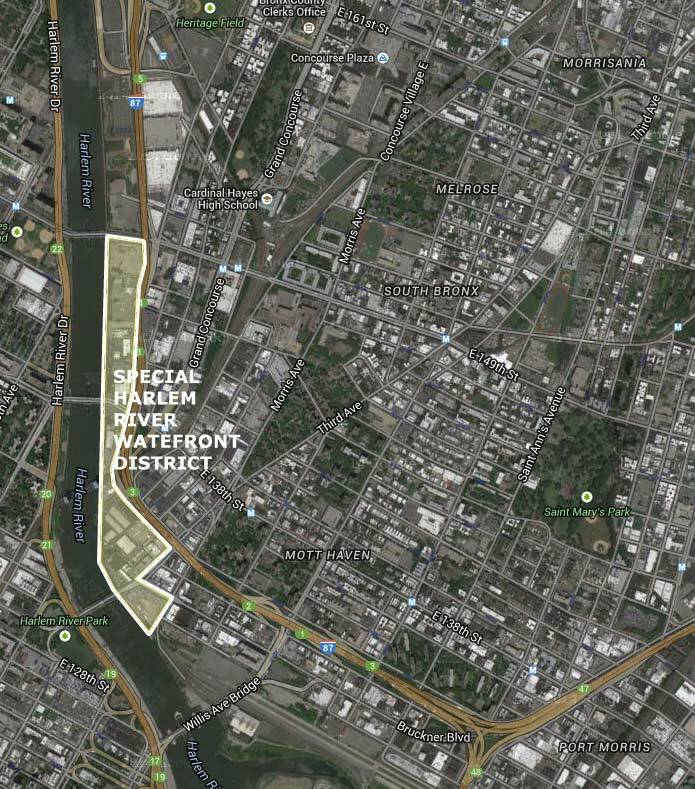 As you know, we’ve been covering the Special Harlem River Waterfront District, which stretches for 1.4 miles from 149th Street down south to Lincoln Avenue, quite extensively. Over $100 million has been spent on just 3 parcels and a building alone in just a 6 month time frame in this area which is receiving a lot of speculative purchasers’ attention. 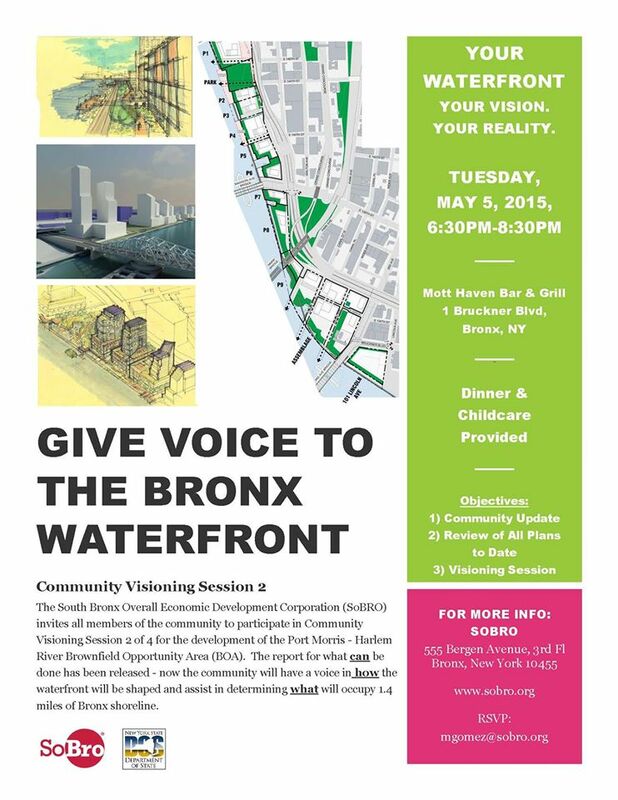 With all the development that is being announced for the area, including the potential 6, 25 story market rate towers at the foot of the Third Avenue Bridge, this is a chance to bring the community together to discuss what our needs, as residents who have lived here a long time or a lifetime. Let’s see if our voices will truly be heard. Dinner and childcare will be provided and a community update and a review of all plans as to date will be updated.